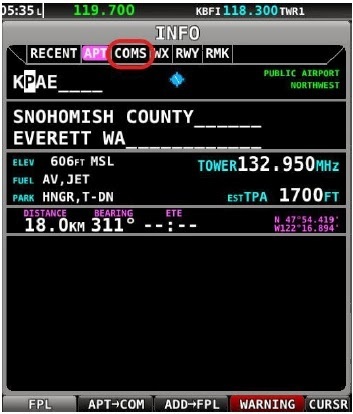 Hi Dave, I am curious to know where the feature on exchanging frequencies between radio and Skyview is described. This is an awesome feature and I want it! 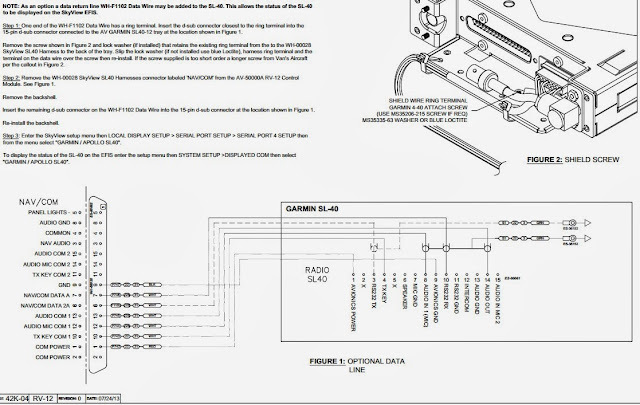 Jean-Pierre is right - I did gloss over what I was doing it and why I was doing it when I installed the missing wire the would complete the communication path between the Dynon Skyview and the Garmin SL-40. Many of you will no doubt remember that I was one of the group that got caught up in the delays arising from the shift from the older Dynon D-180 to the newfangled Skyview. This is perhaps nostalgia talking, but I also remember being as patient as I can be, thinking that surely the ongoing improvements to the Skyview would make the wait well worthwhile. Well, it was true. I think I'm on the third major version of the Skyview firmware in less than a year after installation. It was either this most recent version or the one just before it that introduced the concept of using the frequency data stored in (and displayed on) the Skyview to 'push' frequencies to the Comm radio. Then you just select the frequency you want using the right side joystick and press 'TUNE COM'. 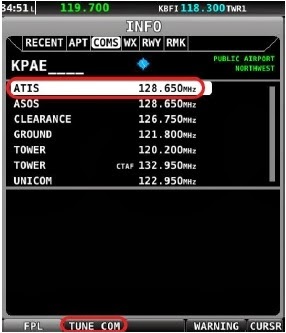 The Skyview will push the selected frequency into the standby frequency in the SL-40. As they say in the orchestra, Viola!